Stacey Abler contacted me recently with a question about a new prospect. In her email she mentioned that she was considering offering a discount just because the contract could be a long-term regular one. My reaction was shock, followed by a "no, no, no...." Offering this kind of discount to a brand new client is a recipe for disaster. At the same time, I can understand why so many freelancers do it -- they feel like they have to give clients more for their money so they don't scoff at rates and hire a less expensive provider. Fortunately that isn't the reality of the situation. Look. I'm not saying you should never give any kind of discount to a new client. I'm actually a huge fan of running sales to attract early interest from clients who will then pay your regular rates after the sale period expires. That was one of the best things I did personally to rapidly grow my own client list when I switched from PR to full-time writing. It works. And most of my current regulars actually came to me that way. They don't run away as soon as your rates go up. There is another type of discount though -- the type I suggested that Stacy stay away from. It involves offering a permanent discount on your rates solely because someone orders in a large quantity. I've made this mistake myself. And fortunately I learned the lesson quickly and I no longer offer bulk rates -- especially to new clients. I do still have two old clients on pre-negotiated bulk rates, but that came after already having established relationships and I know the clients well enough to know they won't try to keep pushing my limits to undercut me repeatedly. And the moment those rates lead to me earning less than that $150 per hour "magic number" I'll renegotiate or move on to new clients more appropriate for my current market. So what exactly is the problem with bulk rates for new clients? First, it sets a negative tone from the beginning of your working relationship. You immediately show that you're a pushover who can be "talked down." If they can do it immediately, there's a good chance they'll do it again. And once you accept a large regular order, they know you become more reliant on them as it's harder to replace that kind of sudden loss. That means they have the upper hand. And your relationships with clients should be based on mutual respect; not someone trying to get one over on someone else. On top of that issue, you are not a machine. You have a set number of available billable hours. If you were smart about business earlier on, you already calculated what you need to charge per billable hour to reach your goals. Just because one client orders 10 hours of your time each week, it doesn't mean they deserve a discount. They're already saving money by hiring a freelancer as opposed to a full-time employee. If they want 10 hours of your time, they should value what you bring to the table enough to pay your going rate. If they can't afford to do that, they're simply not within your target market. Others will. What to do When a Client Asks for a Discount for "Regular Work"
Those are good steps. But there's a far more important one, and it's the one I think a lot of freelance writers forget. You have to show the client that you're worth the rates you charge. Yep. It's all about marketing. If you can't "sell yourself" in a way that conveys your full value to the client, they're not likely to see it on their own. It's a part of your job. So learn to love it. If they ask for a discount, take the approach of explaining what you're really providing them and why it's worth your going rate. If you can't convey value, then you really aren't worth your rates. And if you simply come across a client looking for savings, it's always okay to say "no thanks, but feel free to contact me if there's anything I can do for you in the future." Offer an extra one-time service for new clients. If you write SEO articles for example maybe offer a special of 12 articles for the price of ten (for new clients only, and only on their first order). Offer a free product of some kind. For example, write a report or white paper that specifically targets your client base. The best part is you only have to write it once, so you don't sacrifice time repeatedly. Offer a free initial consultation. 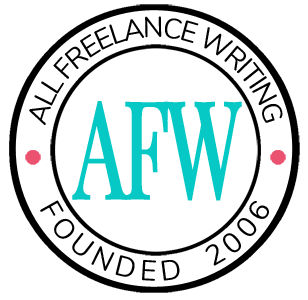 Yes, even freelance writers need to occasionally consult with clients about their plans and goals, and in general that won't be free time. Give them a free taste of what you're made of -- once. Offer to start on a trial basis. If they're concerned about starting a long-term contract with you, pitch a short-term one instead. It gives them a better feel for the value you really offer which helps to justify your rates, but they don't have to commit immediately. You give up nothing. They get to feel more comfortable with you early on. It's win-win. You can always expand that contract when it expires. And what can do you if all that fails? You can pitch a pared-down package of services. You show the client what they can realistically expect to get with the budget they have. Many will take this offer (let's say offering 8 blog posts per month instead of 12). At the same time, you don't sacrifice your rates based on the time you put in. And you'd probably be surprised by how many clients suddenly realize they can afford your original offer when you make this kind of counter-offer. After all, they were expecting you to pitch a discount. They didn't think you'd expect them to meet you halfway. If they really want what they say they want they'll hire you. If not, they might come back later. And in the meantime you'll find new clients who do value your work accordingly. So what do you do when new clients immediately ask for discounts? What about ones who try to treat services like mass-produced products, asking for bulk discounts or discounts if they agree to hire you for X number of hours each week? I hope you don't just cave in and set that kind of precedent. If not, do you offer an alternative solution? Share your thoughts in the comments. I’ve never had this problem. But I am offering new clients a one-time discount on my rates. I figure they can get a taste of my writing, and then they have to pay my regular rates. I think they should know this because I spelled it out on my website. However, when I work out the details with clients, I make sure that they’re clear that this lower rate is a ONE-TIME discount. It is not going to continue. If they don’t like what I do or don’t want to pay, then they don’t have to hire me again. My feelings aren’t hurt. I’m not going to write for pennies. Keep up the great, informative posts. They help a lot! Great post. I don’t do bulk discounts, either, but your alternatives gave me some great ideas. It’s not like a landlord will offer a bulk discount for a long-term lease, or a plumber will offer a long-term discount to redo the whole house. Exactly. As for landlords what I’ve most often seen is that their base advertised rate is the long-term (yearly) one. If you want anything with a shorter commitment they charge more. And that’s really the key. You have to know what your base rate needs to be to earn the income you want to earn. That should be the absolute minimum you charge. So if you still want to give bulk “discounts,” make that lower rate your base advertised rate and charge more for those not willing to commit to longer working relationships. It actually makes sense, since it’s the beginning of the relationship when things take more time (as you learn about the client, their products / services, and their target market).